What are online psychic readings, what you should ask a psychic and how to identify real ones ? With the advent of technology and the internet, psychic readings can now be done online. You can get in-touch with a psychic through emails, phone calls, or even skype. A psychic reading or consultation is a specific attempt by a professional, usually through tarot, aura, and astrology readings among others, to discover or detect information with the use of their heightened perceptive abilities. The readings are traditionally done face-to-face, but now a professional psychic can assist you online. What Should You Ask In A Psychic Reading? When you book a session with a psychic, more often than not you have an agenda. You might have a question that needs answers, maybe you are seeking to deal with depression and life stresses through spiritual healing, or sometimes, you may not have a specific agenda, but you want to know certain things. It is okay to ask questions to your psychics, but if you are looking for concrete answers, you will likely to end up disappointed. Psychics have little control over the information that they are spiritually guided to convey to you in the course of your session. An authentic psychic is only the means. They will only relay to you the information they receive from your spiritual guides and loved ones in heaven. The information that they communicate to you will not come from them, it comes through them. And, sometimes these answers or information are not the ones you want to hear, but the ones you need to hear. If you have faith in your professional psychic just let him guide you through the session. Anyway, you employed the service of a professional and you are paying them so allow them to do perform their job. Let them ask the questions and lead the discussion where it needs to go, and they will just ask you to validate or confirm the impressions and readings that they are receiving from. Your psychic will probably allow you to ask questions as well to clarify and better interpret to you the readings from your session. How to Spot a Fraud ? So how do you exactly spot a fraudulent psychic? Are there ways to differentiate the real psychics from those you are just posing as psychics? It is important that before you book a session with a psychic, ask their past clients if they are reliable, and authentic. If you are looking to book online psychic readings, you may scan through the testimonials former clients in the psychic's website to validate if their authenticity. But, if you already booked a session and was not able to get an assurance beforehand that the psychic you employed is real, the answer to these questions above, are usually up to your personal judgment of the professional psychic that you consulted. Be very attentive and observant in your sessions. Try to listen for credible details as your psychic goes through the course of his psychic reading. An authentic psychic must be able to give you information, usually tidbits of information, spontaneously without asking too much information. With these information you may be able to confirm that the psychic is indeed connecting with you properly. An authentic psychic reader will likely ask less questions, while a fraud might ask you way too much information that can be manipulated to their advantage, especially if you are doing the consultation online. Be very wary if he starts asking tons of questions that will give him your personal details. He may use these details to search for you profile in social media websites that way they can view your past and recent activities that you posted online. They can use the information that they gained online and pretend that they read it from your session with them, thereby giving off an impression that he is indeed connecting with you. If a psychic is real he will be able to tell you immediately something relevant to your life or current state at the beginning of your session. Something that you can easily and readily identify as truthful. This is something you can immediately identify as your own, and relevant to what is going on in your life, at that time. No reputable psychic will ever predict your death, foretell a tragedy. A real psychic will not claim that he can give you winning lottery numbers or other false promises. No reputable inform you that you have a curse, or any of your family members and that the only way to remove it is by repeated sessions with him. A reputable psychic will also not keep increasing the fee of his service with each visit, or expect that you buy any merchandise or charms from them. A real psychic will not feed you with his personal opinion about your life. 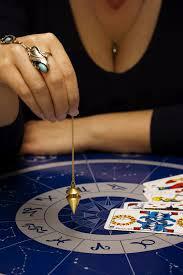 Fake psychics cannot give your psychic reading unless they ask tons of questions about your personal life. Genuine psychics will have real concern for you and will try to answer your questions and help you out of your situation. However, a fake psychic worries only about financial gains and will most likely keep you hanging, so that you will come back for another session. Listen carefully to the background, if you are using phone or skype to communicate with your psychic. Take note of other noises that you might be able to hear from his background. If you can hear him doing some other activity like typing through the keyboard of his computer or turning pages from a book or script and reading out of it, and if it takes eternity for him to respond to you. Most probably you are dealing with a fake psychic. So there you have it, we hope that this can help you find a good psychic reader. Be sure to remember that you are always in charge of your life and destiny. Return to "Spiritual Healers" from "Psychic Readings"